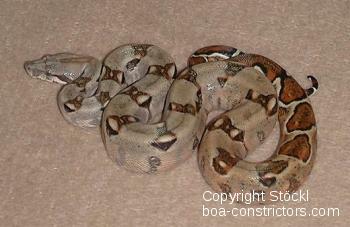 strict warning: Non-static method view::load() should not be called statically in /var/www/htdocs/50199-Stoeckl-Erika/Kundenbereich/www.boa-constrictors.com/html/modules/views/views.module on line 1118.
strict warning: Declaration of views_handler_field::query() should be compatible with views_handler::query($group_by = false) in /var/www/htdocs/50199-Stoeckl-Erika/Kundenbereich/www.boa-constrictors.com/html/modules/views/handlers/views_handler_field.inc on line 0.
strict warning: Declaration of content_handler_field::element_type() should be compatible with views_handler_field::element_type($none_supported = false, $default_empty = false, $inline = false) in /var/www/htdocs/50199-Stoeckl-Erika/Kundenbereich/www.boa-constrictors.com/html/modules/cck/includes/views/handlers/content_handler_field.inc on line 0.
strict warning: Declaration of views_handler_argument::options_validate() should be compatible with views_handler::options_validate($form, &$form_state) in /var/www/htdocs/50199-Stoeckl-Erika/Kundenbereich/www.boa-constrictors.com/html/modules/views/handlers/views_handler_argument.inc on line 0.
strict warning: Declaration of views_handler_argument::query() should be compatible with views_handler::query($group_by = false) in /var/www/htdocs/50199-Stoeckl-Erika/Kundenbereich/www.boa-constrictors.com/html/modules/views/handlers/views_handler_argument.inc on line 0.
strict warning: Declaration of views_handler_sort::options_validate() should be compatible with views_handler::options_validate($form, &$form_state) in /var/www/htdocs/50199-Stoeckl-Erika/Kundenbereich/www.boa-constrictors.com/html/modules/views/handlers/views_handler_sort.inc on line 0.
strict warning: Declaration of views_handler_sort::options_submit() should be compatible with views_handler::options_submit($form, &$form_state) in /var/www/htdocs/50199-Stoeckl-Erika/Kundenbereich/www.boa-constrictors.com/html/modules/views/handlers/views_handler_sort.inc on line 0.
strict warning: Declaration of views_handler_sort::query() should be compatible with views_handler::query($group_by = false) in /var/www/htdocs/50199-Stoeckl-Erika/Kundenbereich/www.boa-constrictors.com/html/modules/views/handlers/views_handler_sort.inc on line 0.
strict warning: Declaration of views_handler_filter::options_validate() should be compatible with views_handler::options_validate($form, &$form_state) in /var/www/htdocs/50199-Stoeckl-Erika/Kundenbereich/www.boa-constrictors.com/html/modules/views/handlers/views_handler_filter.inc on line 0.
strict warning: Declaration of views_handler_filter::query() should be compatible with views_handler::query($group_by = false) in /var/www/htdocs/50199-Stoeckl-Erika/Kundenbereich/www.boa-constrictors.com/html/modules/views/handlers/views_handler_filter.inc on line 0.
strict warning: Declaration of views_handler_filter_node_status::operator_form() should be compatible with views_handler_filter::operator_form(&$form, &$form_state) in /var/www/htdocs/50199-Stoeckl-Erika/Kundenbereich/www.boa-constrictors.com/html/modules/views/modules/node/views_handler_filter_node_status.inc on line 0.
strict warning: Declaration of views_handler_relationship::query() should be compatible with views_handler::query($group_by = false) in /var/www/htdocs/50199-Stoeckl-Erika/Kundenbereich/www.boa-constrictors.com/html/modules/views/handlers/views_handler_relationship.inc on line 0.
strict warning: Declaration of views_handler_area::query() should be compatible with views_handler::query($group_by = false) in /var/www/htdocs/50199-Stoeckl-Erika/Kundenbereich/www.boa-constrictors.com/html/modules/views/handlers/views_handler_area.inc on line 0.
strict warning: Declaration of views_handler_area_text::options_submit() should be compatible with views_handler::options_submit($form, &$form_state) in /var/www/htdocs/50199-Stoeckl-Erika/Kundenbereich/www.boa-constrictors.com/html/modules/views/handlers/views_handler_area_text.inc on line 0.
strict warning: Declaration of views_plugin_query::options_submit() should be compatible with views_plugin::options_submit($form, &$form_state) in /var/www/htdocs/50199-Stoeckl-Erika/Kundenbereich/www.boa-constrictors.com/html/modules/views/plugins/views_plugin_query.inc on line 0.
strict warning: Declaration of views_plugin_argument_validate::options_submit() should be compatible with views_plugin::options_submit($form, &$form_state) in /var/www/htdocs/50199-Stoeckl-Erika/Kundenbereich/www.boa-constrictors.com/html/modules/views/plugins/views_plugin_argument_validate.inc on line 0. Um eine Großansicht der Bilder sehen zu können, klicken Sie bitte auf eines der Vorschaubilder auf der linken Seite. For a larger view of the images, please click on the thumbnails. Pour voir une image en plus grand format, cliquez dessus. 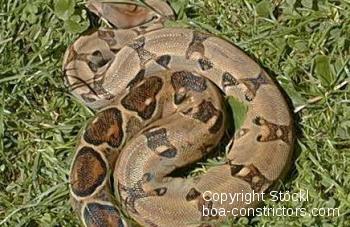 Surinam & Guyana Rotschwanzboa - Unterschied ? 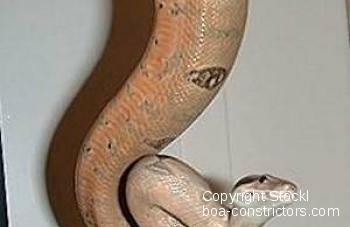 Boa c. longicauda "Top - Bloodline"
Gewissheit bei reinrassigen Boas aus den USA? 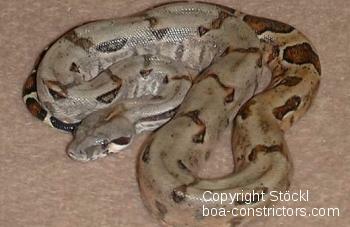 Boa c. constrictor Surinam/ "Super-Pokigron"